Cardinal Dolan joins the newly affiliated Ladies of Charity for a group photo at St. Patrick’s Cathedral on Oct. 22. Cardinal Dolan presents cross to a newly affiliated member of the Ladies of Charity. Seated at left is Archbishop Bashar Warda of Erbil, Iraqi Kurdistan. The Ladies of Charity of New York welcomed 45 affiliates, double the number of last year, at a Mass and Affiliation Ceremony offered in the Lady Chapel of St. Patrick’s Cathedral. The Ladies of Charity was co-founded in 1617 by St. Vincent de Paul and St. Louise de Marillac. Volunteers are laywomen who serve at parishes, hospitals, nursing homes, child care agencies, prisons and soup kitchens. The organization functions under the umbrella of archdiocesan Catholic Charities. 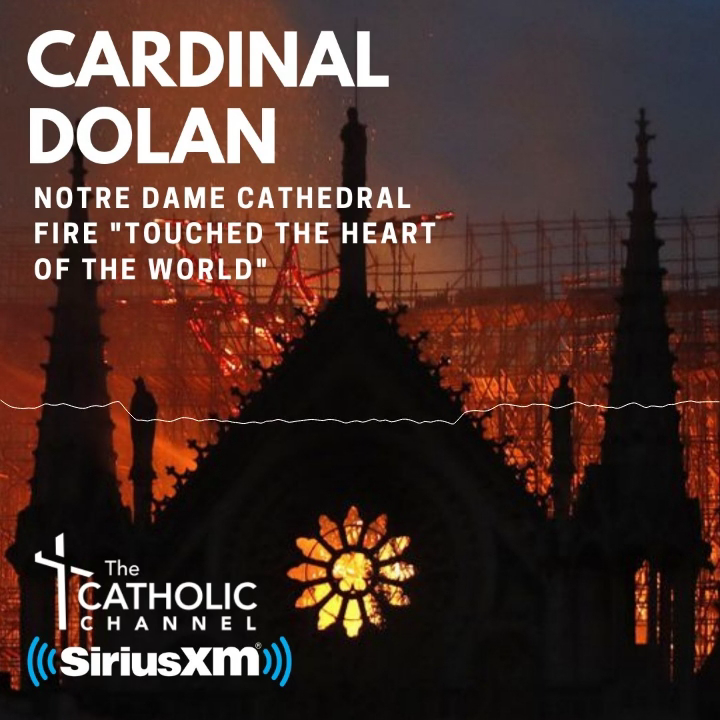 Cardinal Dolan, the principal celebrant and homilist at the Oct. 22 Mass, discussed the need for mercy in the world and encouraged the Ladies of Charity to commit to being the face of mercy as they serve those in need. Oct. 22 was the feast of St. Pope John Paul II, and a relic of his was present on the altar. Concelebrants included Msgr. Kevin Sullivan, executive director of Catholic Charities, and Msgr. Peter G. Finn, spiritual director of the Ladies of Charity. Archbishop Bashar Warda of the Chaldean Diocese of Erbil, Iraq, was present at the Mass. The cardinal had visited the archbishop during an April trip to Iraqi Kurdistan with Msgr. Sullivan. Mrs. Buckley Teatum said the membership increase is due to expanded outreach efforts including bulletin ads and speaking engagements. The new members are a diverse group, ranging in age from 24 to 99, with women hailing from England, Ireland, the Philippines, Syria and elsewhere. “There are so many organizations in need of volunteers. Some new affiliates are already involved in their parishes and in organizations, and if they are not, we can find out where the need is and get involved,” she said. Barbara Duffy, who joined along with her sister Kate Duffy, met members who were serving at her parish, Epiphany in Manhattan, in the “Parishioners Helping Parishioners” program.